We are pleased to invite all to the “6th International Conference on Medical Informatics and Telemedicine” which will take place on July 05-06, 2018 in Berlin, Germany hosted by Conference Series. Berlin a gorgeous city with many hidden secrets poses one of the world’s most promising destinations to visit and experience the special tourist attractions. Attending and contributing to the conference will definitely enhance your cultural and scientific experience and open further opportunities for you and your career. We Look forward welcome you to Berlin, Germany. Looking forward to meet you at Berlin, Germany! Being recognized as a world-renowned organization, Conference Series takes pride to introduce the commencement of “6th International Conference on Medical Informatics and Telemedicine” from July 05-06, 2018 at Berlin, Germany. 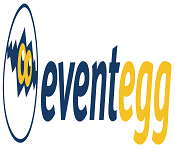 The meeting engrosses a vicinity of cognizant discussions among the expertise along with unparalleled networking opportunities between a large number of medical and industrial professionals in this sphere. The Medical Informatics 2018 will be conducted with the aim and the categorical intent of promoting the developments of new perceptions and ideas for exploring the high level of knowledge reached by scientific community on health informatics. 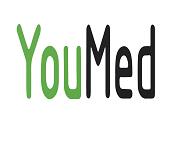 It is an international platform for presenting research and new techniques about clinical and medical informatics, exchanging ideas about it and thus, contributes to the dissemination of knowledge in management for the benefit of the society. Telemedicine is the use of telecommunication and information technologies to provide clinical and medical health care at a distance. It helps to eliminate distance barriers and can improve access to clinical services that would often not be consistently available in distant rural communities. It is also used to save lives in critical care and emergency situations. Although there were distant precursors to telemedicine, it is essentially a product of 20th century telecommunication and information technologies. These technologies permit communications between patient and medical staff with both convenience and loyalty, as well as the transmission of medical, imaging and health informatics data from one site to another. It is a process for accurate data collection in digital format and an electronic medical record for data incorporation and remote transmission Telemedicine is a system for automatically flagging and providing feedback for outlier data. Biomedical Informatics is the field that is concerned with the optimal use of information, often aided by the use of technology and people, to improve individual health, health care, public health, and biomedical research. Biomedical technology broadly refers to the application of engineering and technology principles to the domain of living or biological systems. Usually inclusion of the term biomedical denotes a principal emphasis on problems related to human health and diseases, whereas terms like "biotechnology" can be medical, environmental, or agricultural in application. But most terms in this general realm still lack clear boundaries. Biomedical engineering and Biotechnology alike are often loosely called Biomedical Technology or Bioengineering. 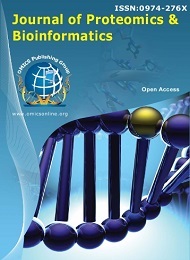 Biomedical Informatics is the field that is concerned with the optimal use of information, often aided by the use of technology and people, to improve the individual health, health care, public health, and biomedical research. Health Systems informatics (HSI) is a healthcare consulting firm and mainly focused on delivering high-quality consulting and support services enabling healthcare institutions to meet the ARRA and HITECH requirements through efficient Electronic Medical Record (EMR) accomplishment and optimization resulting in relevant Use. Built on a justification of strapping, diverse, healthcare talent and a “clients as partners” business criteria, HIS was started to provide support in today’s ever-changing healthcare society. Health informatics is informatics in health care. It is a multidisciplinary field that uses health information technology (HIT) to improve health care via any combination of higher quality, higher efficiency (spurring lower cost and thus greater availability), and new opportunities. The disciplines involved include information science, computer science, social science, behavioral science, management science, and others. The NLM defines health informatics as "the interdisciplinary study of the design, development, adoption and application of IT-based innovations in healthcare services delivery, management and planning." Electronic Medical Record (EMR) implementation and optimization resulting in Meaningful Use. Built on a foundation of robust, diverse, healthcare talent and a “clients as partners” business philosophy, HSi was created to provide value and support in today’s ever-changing healthcare market. Electronic medical record (EMR) systems, defined as "an electronic record of health-related information on an individual that can be created, gathered, managed, and consulted by authorized clinicians and staff within one health care organization," have the potential to provide substantial benefits to physicians, clinic practices, and health care organizations. Health record is a gathering of data relating to a person’s physical and psychological wellness, ordered from distinctive sources. Despite these benefits, widespread adoption of EMRs in the United States is low; a recent survey indicated that only 4 percent of ambulatory physicians reported having an extensive, fully functional electronic records system and 13 percent reported having a basic system. Neuroinformatics is a research field concerned with the organization of neuroscience data by the application of computational models and analytical tools. These areas of research are important for the integration and analysis of increasingly large-volume, high-dimensional, and fine-grain experiment data. Neuroinformaticiansprovide computational tools, mathematical models, and create interoperable databases for clinicians and research scientists. Neuroscience is a heterogeneous field, consisting of many and various sub-disciplines (e.g., Cognitive Psychology, Behavioral Neuroscience, and Behavioral Genetics). In order for our understanding of the brain to continue to deepen, it is necessary that these sub-disciplines are able to share data and findings in a meaningful way; Neuroinformaticians facilitate this. Neural network a branch which deals with the brain studies, inspired with the branch new studies came to existence i.e. Artificial Neural Network. Neural network with its broad scope deals with Computer and brain interaction. Public health refers to "the science and art of preventing disease, prolonging life and promoting health through organized efforts and informed choices of society, organizations, public and private, communities and individuals." It is concerned with threats to health based on population health analysis. The population in question can be as small as a handful of people, or as large as all the inhabitants of several continents. Public health incorporates the interdisciplinary approaches of epidemiology, biostatistics and health services. Environmental health, community health, behavioral health, health economics, public policy, insurance medicine and occupational safety and health are other important subfields. Health care technology implies application of formulated knowledge and skills in the form of devices, drugs, medicines, vaccines, procedures and systems developed to solve a health issues and improve quality of lives. This includes the pharmaceuticals, devices, procedures and organizational systems used in health care technology. It encompasses a wide range of healthcare products and mainly used to diagnose, monitor, treat diseases or medical conditions affecting humans. Earlier diagnostic methods, very low invasive treatment options and reductions in hospital stays are the applications of health science which are intended to improve the quality of health care delivered. There are recent trends in health technology and the proliferation of health care is increasing day by day mainly they have also focused on cost reduction. Medical technology may be classified into medical devices, information technology and healthcare services. Ethics is a component of the education of health care managers and supervisors. Recent advances in the technologies of medical informatics present these leaders with new ethical challenges. Holding the promise of beneficence, these technologies are purported to increase access, improve quality, and decrease the costs of care. Aspects of these technologies, however, create conflicts with the ethical principles of autonomy, fidelity, and justice. Info ethics is suggested as a means to examine these conflicts. A multipronged solution that incorporates adherence to regulations and standards, promotion of codes of conduct and ethics, and creation of a culture of info ethics is recommended. 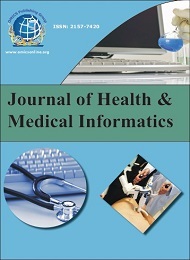 Medical Informatics Research takes the core foundations, principles, and technologies related to Health Informatics and apply these to clinical research contexts. As such, CRI is a sub-discipline of Health Informatics, and interest and activities in CRI have increased greatly in recent years given the overwhelming problems associated with the explosive growth of clinical research data and information. It also involves research of proteomes from the level of intracellular protein composition, structure, and its unique activity patterns. It is an important component of functional genomics. Medical Informatics Engineering targets the delivery of healthcare over the entire patient care cycle, which includes screening, vaccination, preventive medicine, diagnosis, treatment, medications, monitoring and checkups. Model-based decision tools create engineered innovations in clinical operations, individual treatment choice and supporting supply chains to advance safe, high-quality, consistent and accessible healthcare while avoiding unnecessary costs. HSE focuses on the design of engineered processes to combine resources and support clinical decision making to assure its effective implementation over the entire course of a patient’s care. Biostatistics is the application of statistics to a wide range of topics in biology. The science of biostatistics encompasses the design of biological experiments, especially in medicine, pharmacy, agriculture and fishery; the collection, summarization, and analysis of data from those experiments; and the interpretation of, and inference from, the results. A major branch of this is medical biostatistics, which is exclusively concerned with medicine and health. They are most often found in schools of public health, affiliated with schools of medicine, forestry, or agriculture, or as a focus of application in departments of statistics. Medical Informatics in Obstetrics and Gynecology provides industry knowledge and insight to challenges in the areas of informatics that are important to women's health. 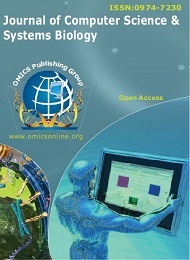 Covering topics such as ethical and legal issues, imaging and communication systems, and electronic health records, this Medical Information Science Reference publication provides medical libraries and researchers, as well as medical students, health technology specialists, and practicing physicians and nurses with unrivalled data on the role of technology in obstetrics and genecology. Medical Informatics and Information Management (HIIM) professionals are experts in managing the collection, storage, retrieval, analysis and interpretation of health care data and information. To provide the highest quality health care delivery, health care information is used not only for patient care, but also for medical legal issues, reimbursement, research, planning and evaluation. Opportunities for employment are found in a variety of settings, including hospitals, clinics, rehabilitation centers, home health agencies, health maintenance organizations, insurance agencies, governmental agencies, educational institutions and research centers. Health information technology (HIT) is information technology applied to health and health care. It supports health information management across computerized systems and the secure exchange of health information between consumers, providers, payers, and quality monitors. Based on an often-cited 2008 report on a small series of studies conducted at four sites that provide ambulatory care–three U.S. medical centers and one in the Netherlands– the use of Electronic Health Records (EHRs) was viewed as the most promising tool for improving the overall quality, safety and efficiency of the health delivery system. Medical Informatics 2018 Welcomes attendees, presenters, and exhibitors from all over the world to Berlin, Germany. We are glad to welcome you all to participate and register for the ‘6th International Conference On Medical Informatics and Telemedicine’ which is going to be held during July 05-06, 2018 ; Berlin, Germany. The organizing committee is harness up for an energizing and educational gathering program including inclusive lectures, symposia and workshops on various topics, notice presentations and different projects for members from all over the world. We welcome to join us at the Medical Informatics 2018, where you will make certain to have an important involvement with scholars from around the world. All members of the Medical Informatics 2018 organizing committee anticipate meeting you in Germany. Medical informatics focuses on issues related to collecting, storing and analysing medical information in a digital format. Combining medical knowledge with engineering, informatics and communication systems, medical informatics develops procedures that help improve the quality and efficiency of healthcare and medical reforms. A medical informatics specialist can perform tasks such as managing electronic records of patients, or exploring patient data to identify trends in disease and treatment. Topics covered by programmes in medical informatics include: electronic health records, advanced medical informatics, quality improvement in medical IT, global medical informatics, health systems project management. Medical informatics specialists require analytical skills that will aid them in gathering and organising medical information. They will develop strong strategic planning and management abilities, as they work on optimising access to information in the healthcare and medical industry. The conference is gearing up for an exciting and informative program which include Keynote, plenary lectures, symposia, workshops on a variety of topics, poster presentations and various training programs for participants from all over the world covering all the latest technology aspects for Medical Informatics. Medical or Health Informatics is scientific field that deals with biomedical information, data and knowledge - their storage, retrieval, optimal use for problem solving and decision making. It accordingly touches on all basic and applied fields in biomedical science research and is relatively tied to modern information technologies, Telemedicine notably in the areas of medical computer science. Berlin is a leading global city with strengths in the arts, commerce, education, entertainment, fashion, finance, healthcare, media, professional services, research and development, tourism, and transport all contributing to its prominence. It is one of the world's leading financial center and has the fifth-or sixth-largest metropolitan area GDP in the world depending on measurement. Berlin is a world cultural capital. It is the world's most-visited city as measured by international arrivals and has the world's largest city airport system measured by passenger traffic. Berlin's 43 universities form the largest concentration of higher education institutes in Europe. Medical Informatics professionals, directors, CEO’s, Presidents, Vice-presidents, CMIO’s, CNIOs, Professors, Associate professors, Assistant professors, Clinicians, Business Delegates from allied industries and companies etc. Total health care expenditures around the world are difficult to determine, but $9.0 trillion would be a fair estimate for 2017. That would place health care at about 9.0% of global GDP, with expenditures per capita about $953. Clearly, there is vast disparity in the availability and cost of care among nations, as there is with personal income and GDP. Health care spending per capita in the Germany was equal to about $9,500 in 2017, while spending in the world’s remotest villages, such as those suffering from an outbreak of the Ebola disease in late 2017, was next to nothing. Globally, the total prescription drug market was over $1 trillion in 2017. Medical Informatics investment in more than 30 nations including the majority of the world’s most developed economies (but excluding Brazil, Russia, India or China), found stark contrasts between health costs in the United States and those of other nations. In 2016 (the latest complete data available), the average of a list that includes, for example, the UK, France, Germany, Mexico, Canada, South Korea, Japan, Australia and the U.S., spent 9.3% of GDP on health care, unchanged from the previous year. The highest figures in this study were in America at 16.9% of GDP, The Netherlands at 11.9%, France at 11.6%, Switzerland at 11.4%, Germany at 11.3%, Austria at 11.1%, Denmark at 11.0% and Canada at 10.9%. 8th International Geriatrics Nursing Conferences, July 23-24, 2018, Lisbon, 3rd World Public Health Conferences, February 26-28, 2018 London, UK; 17th Global Diabetes Conferences, March 8-9, 2018 Paris, France; 13th World Healthcare Conferences, June 14-15, 2018 Dublin, Ireland;2nd International Social Sciences Conferences, June 18-19, 2018 Rome, Italy; 20th International Medical Informatics, Bioinformatics and Bioengineering Conferences, Rome, Italy, March 5 - 6, 2018; World Medical Informatics Conferences, 14-15 May 2018, Boston, USA; The Australian Telehealth Conferences, 11-12 April 2018, Sydney, Australia; Health IT Marketing and PR Conferences, April 4-6, 2018, New Orleans, USA. 17th Global Diabetes Conferences, March 8-9, 2018 Paris, France; 13th World Healthcare Conferences, June 14-15, 2018 Dublin, Ireland;2nd International Social Sciences Conferences, June 18-19, 2018 Rome, Italy; 8th International Geriatrics Nursing Conferences, July 23-24, 2018, Lisbon, 3rd World Public Health Conferences, February 26-28, 2018 London, UK; 20th International Medical Informatics, Bioinformatics and Bioengineering Conferences, Rome, Italy, March 5 - 6, 2018; World Medical Informatics Conferences, 14-15 May 2018, Boston, USA; The Australian Telehealth Conferences, 11-12 April 2018, Sydney, Australia; Health IT Marketing and PR Conferences, April 4-6, 2018, New Orleans, USA. Healthcare Conferences, June 14-15, 2018 Dublin, Ireland; 2nd International Social Sciences Conferences, June 18-19, 2018 Rome, Italy; 8th International Geriatrics Nursing Conferences, July 23-24, 2018, Lisbon, 3rd World Public Health Conferences, February 26-28, 2018 London, UK; 20th International Medical Informatics, Bioinformatics and Bioengineering Conferences, Rome, Italy, March 5 - 6, 2018; World Medical Informatics Conferences, 14-15 May 2018, Boston, USA; The Australian Telehealth Conferences, 11-12 April 2018, Sydney, Australia; Health IT Marketing and PR Conferences, April 4-6, 2018, New Orleans, USA.